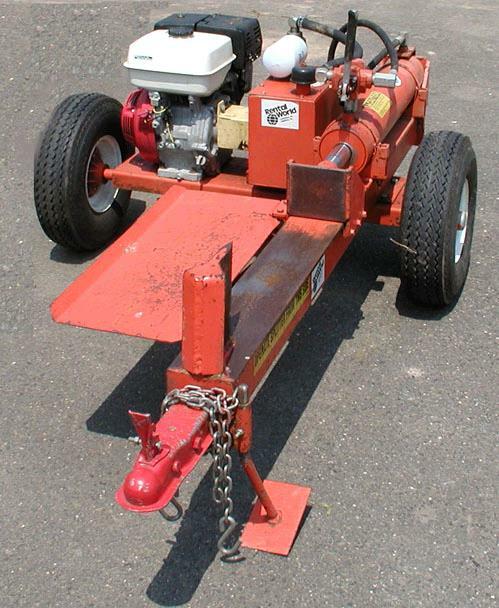 Towable hydraulic log splitter. Horizontal type. Dependable 8 hp Honda engine. Hydraulic pump: 22 ton - 2 stage - 2,750 psi. 12 second cycle time with automatic return. 4 1/2" hydraulic cylinder with 1 3/4" ram and 24" stroke. * Please call us with any questions about our log splitter 22 t. horizontal rentals in Oak Grove MO, Blue Springs MO, Independence MO, Lexington MO, Odessa MO, Independence MO and Western Missouri.